We talk about self-defense, we talk about the need to be ready, to be prepared. We talk about protecting our homes, our families, our cars, our communities. But then our Krav Maga classes are empty. People show up for an introductory lesson, perhaps stick around for a month or two and then are gone. Why? because other things pop up, they "get busy" and the urgency to train fades. They know it is important but, ..."I am busy". And then we see a video clip. We see a synagogue attacked. We see people that look just like ourselves, just regular people. And we see the attackers. The defenders, the ones' who look just like us, are just...regular people. They are like you and me, busy with their lives, no real time to train. But suddenly they are facing a real situation and it is not pleasant. And then we look at the faces of the attackers, people who came because they hate, people who invaded a place of worship, who intruded on the privacy of others. We look at their ugly faces and we see huge ugliness. We see hatred for the sake of hatred, we see passionate hatred fueled by the worst kind of racist training. We see madmen, and women, bent on destruction, letting out their rage on innocent people....and images from the past return to haunt us. Yes, it is the Holocaust all over again. Yes, I am not overreacting. Yes, it is the Hooligans from Lithuania and Ukraine and nearly every part of Europe. The color of the skin may change but the ugliness of the face remains the same. One time it is a European and another time it is a Middle Eastern man, but the ugliness, the ugliness is unchanged. Yes, this is not a pleasant topic to bring up, and yes I know some people will be offended as I bring up the ugly past. But it is all true. the honest ones will confront their history, no matter how unpleasant. If today we are horrified to see a mob of Muslims attack a synagogue in London and in Paris well then just a few years ago those very same synagogues were attacked by angry mobs of Christians or "National Socialists" or "Workers". Either way it is the same. And we, decent people, must be ready. But we are not. Where is the self-defense training? Where are the Krav Maga courses that MUST be a part of every community center? We are simply too busy with other pressing matters, until..
Until those ugly faces are at our doorstep, pushing to enter our homes and our synagogues and pull us out and "round us up". Just yesterday I was reading about 1941 where Lithuanian "freedom fighters" rounded up about 70 Jews, brought them to the town square and killed them with blunt objects. How different is that from what is going on today in Europe where angry mobs are attacking Jews in London and Paris? And we must be ready. And when I say we I mean not only the Jews, the perennial scapegoat, but all decent people. If you want to stand up for freedom you must train in self-defense or you will die a martyr. Next time you are considering the pros and cons of taking up Krav Maga training just imagine this: Imagine your home, your synagogue or your church or community center, now imagine an angry mob that has decided that you are the cause of their troubles. They are at your door, they are getting inside, they are dragging out your wife and kids, their faces are filled with hatred. They are that close! In South Africa our members have taken action and the Jewish community there has taken control of its neighborhood. I have heard the praise of the rabbis for the work of these community protection groups. They have allowed the people to walk to the synagogue Friday night and live a normal life. It is possible, but we must train. I am proud of the achievements of our members, proud to lend support to all decent people who want to take back their streets, their communities. Make this a priority. Do not wait for the ugly faces to enter your home. Take two weeks that will change your life, join us in Israel for the Tour and Train Israel experience. You will never be the same. Join students and instructors from all over the world. Train with the best. 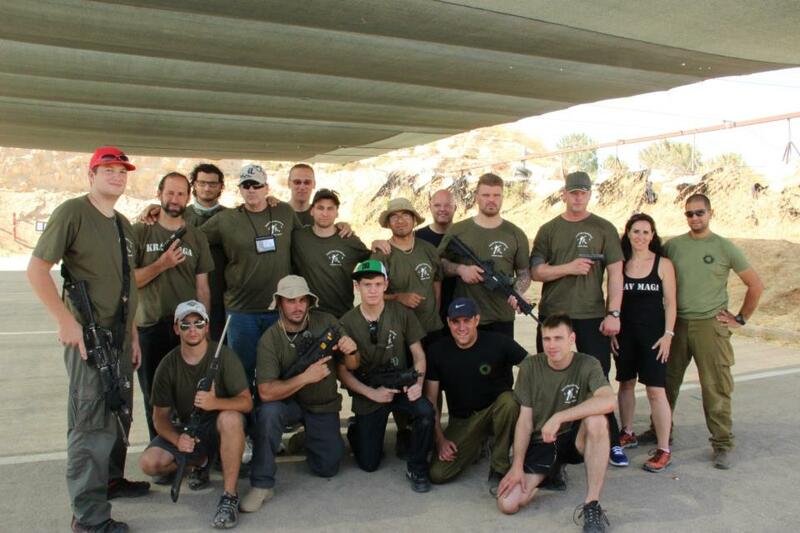 Students from Italy, South Africa, The USA, Israel, Iceland, Mexico, Croatia, United Kingdom, Germany...training together in Israel, united to fight racism.